Love me some of this one. Another oldie but goodie. Now go out there and have yourself a Watercolor kind of day. Woot! 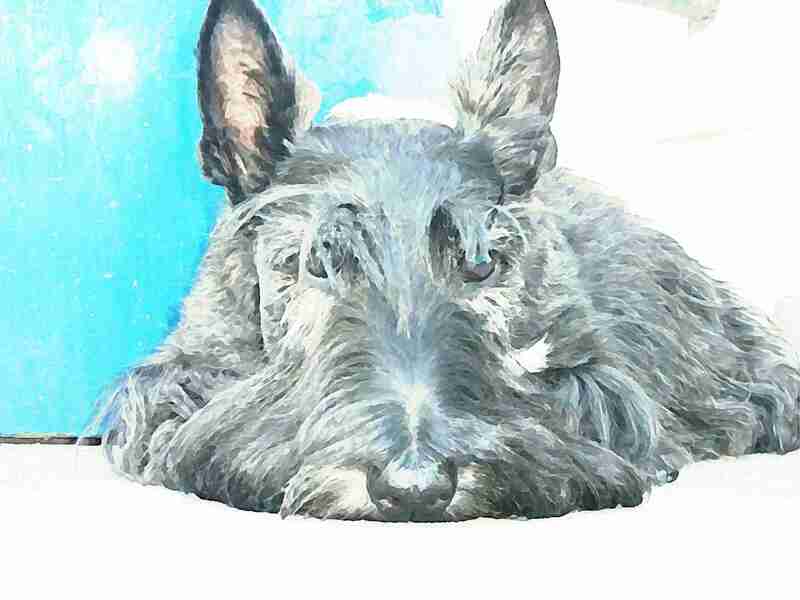 This entry was posted in The Scottie Chronicles and tagged animals, art, dogs, Scotties, watercolor. Bookmark the permalink. We don’t have an iPawd….isn’t that pathetic? The Dad peep is going to do one of moi in oils one day…..
Wait…….Elsa just fainted. She says you are too handsome. Andy n I think she’s daft. Fanning Elsa….Come to, Elsa! Get the smelling salts…..
Love that one too!! You are so handsome!! Hey! The peep says She’s calling you later today my furiend. And to you, too, Oz the Paws. Oh this one is a Beaut, Stu! Yer peeps are such good artists, huh? Have a grrreat day! I hope I don’t lose one in my surgery next month! Yikes! You are so handsome, Stuart, this watercolor took my Peep’s breath away. I was afraid since I don’t know how to do the Heimlich maneuver, but she recovered. One of our favorites. Love to see the pensive look. So darn good looking, and Scottish too! My goodness, Stu, it can’t get any better than that! We loves you! What’s a watercolor day??? If that where you go water skiing, lose your balance, and you turn black and blue? You are most adorables in that one Stuart!! !